The two bedrooms apartment at T5 tower, large area, harmonious apartment layout creates comfortable living space. The apartment is designed luxurious, modern, the landlady uses the high-end furniture; Reasonable design and comfort both in the bedroom and the living room. Feel the apartment your own way! Waking up with an amazing view of city from the high floor, while breathing in the fresh air filling the room, you will definitely feel refreshed and energized every morning. 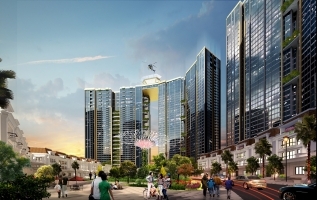 I pledge that Masteri is the most convenient condominium in Thao Dien Ward! Feel free to contact us, you will get a travel in Masteri to have a look many nice apartment in Masteri Thao Dien.